Looking to have a fine bouquet of fresh flowers delivered for Easter? By pre-ordering your Easter flowers now with Clare Florist, you can have delivery scheduled for Thursday the 13th, in time for Easter Sunday which falls on the 17th of April this year. Sending flowers for Easter is a time-honoured tradition with lilies, irises and tulips amongst the most popular types of bloom for the occasion. There's nothing quite like a bouquet of colourful, aromatic, seasonal blooms to decorate your home this Easter, whether it's on a side table or holding pride of place in the centre of your dining table or coffee table. Decorating your home with Easter flowers is a great way to introduce colour and natural beauty with ease and simplicity. If you're having friends or family over, placing a vase of flowers in your living room or dining room is a sublime finishing touch that will enliven your surroundings whilst evoking a sense of cheer and optimism. 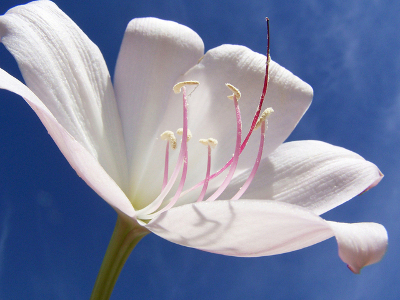 As Easter is traditionally all about the lilies, a bouquet featuring this bloom in abundance is an inspired choice. 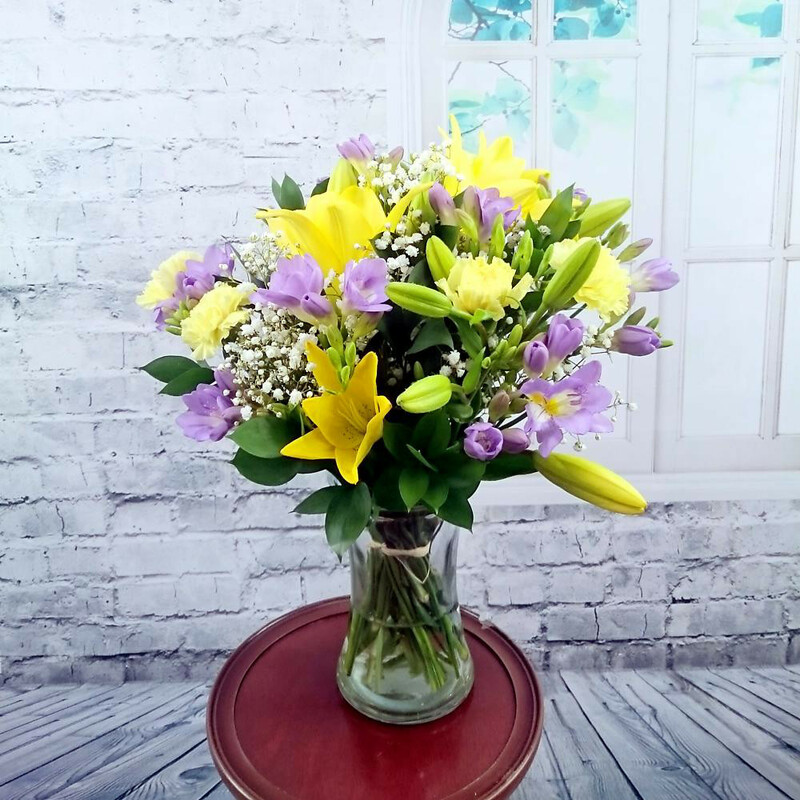 Our Freesia and Lily Bouquet is an all round lovely affair, created using fresh lilac freesia flowers, lilies, yellow carnations, and a sprinkling of white gypsophila. If freesias aren't your favourite, how about this supremely elegant Rose and Lily Bouquet. 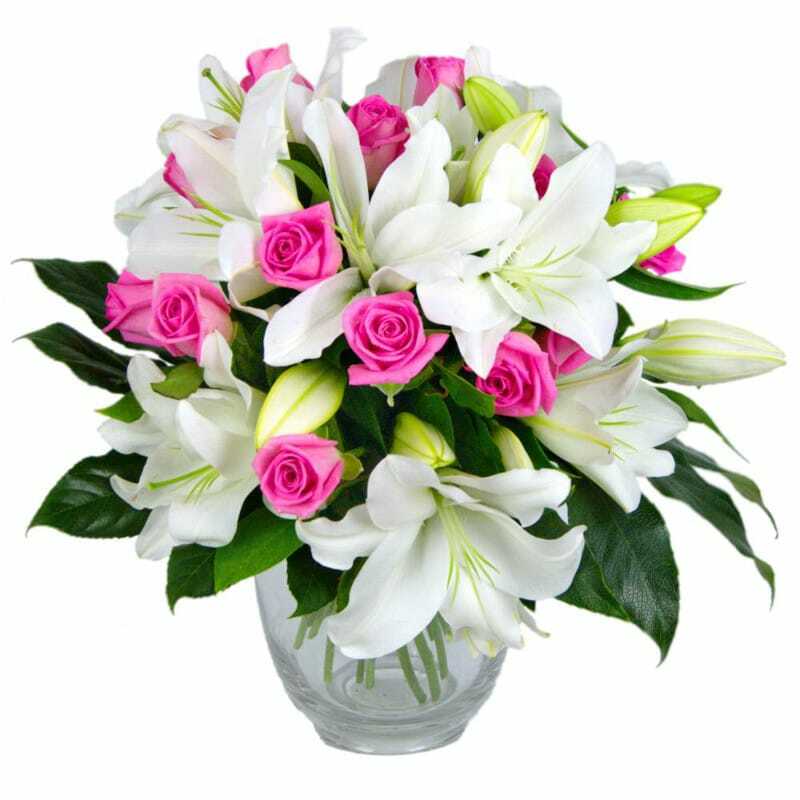 Consisting of the freshest white lilies and pink roses which have been hand arranged into a bountiful bouquet, this fabulous floral arrangement cannot fail to impress. Sending tulips for Easter is a popular choice but there are a lot of different colours to choose from. Can't pick one? Mix it up a bit! 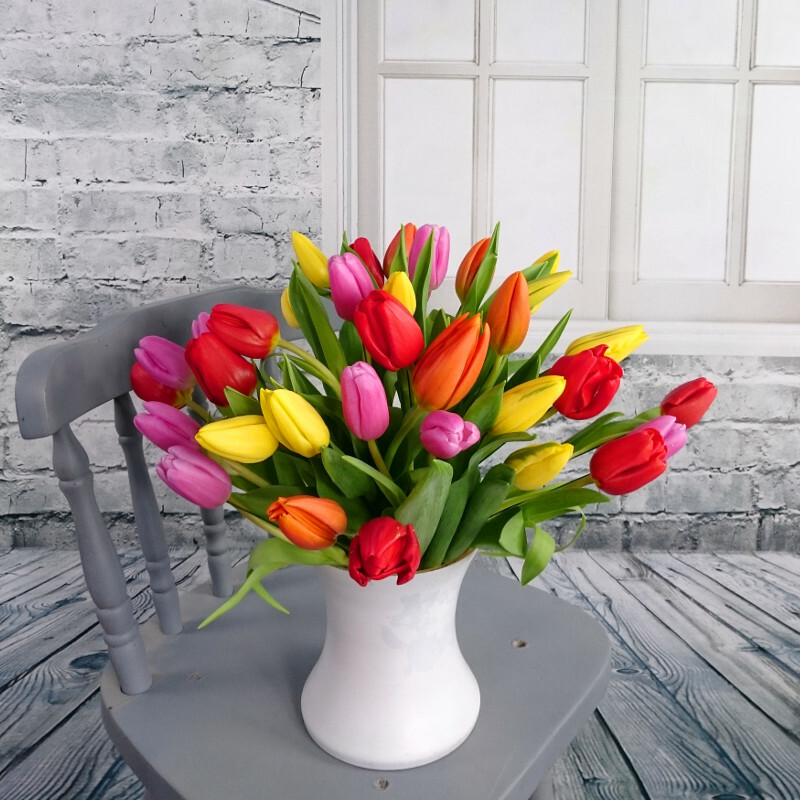 This colourful and eye-catching bouquet of Mixed Tulips will enhance any setting. With springtime in full bloom, it can also be a nice idea to have a bouquet of spring flowers delivered for Easter. Our Burst of Spring bouquet is a perenially popular choice for those seeking to introduce a splash of seasonal colour to their lives. 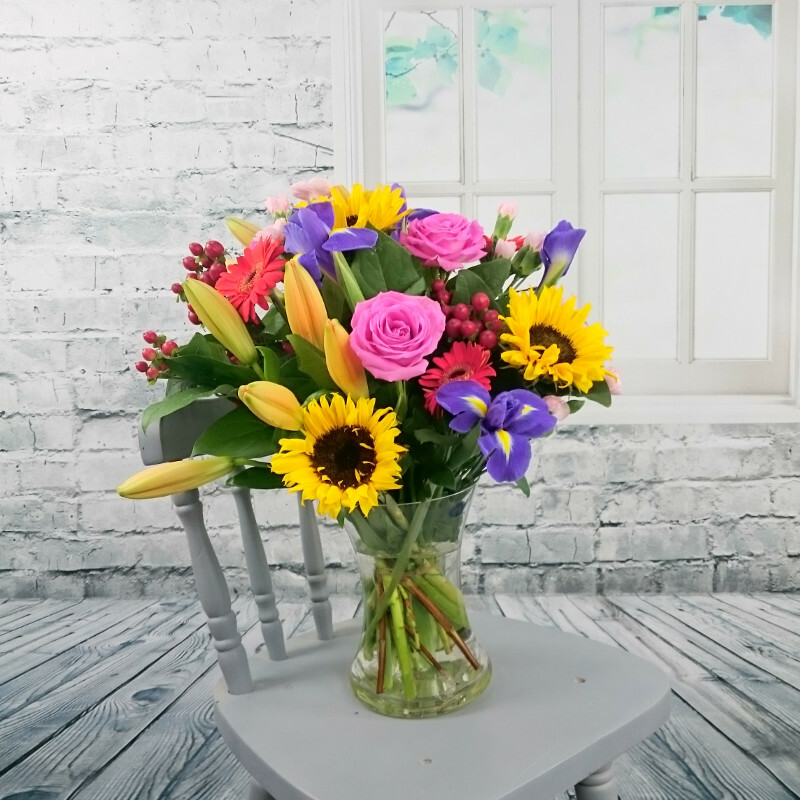 This vibrant bouquet is certain to brighten up anyone's day. Which is your favourite Easter flower?